In The Beloved, Tennant has depicted two cowboys in chaps and Western clothing, a Sheltie dog and horse that is showing affection for his owner by placing he head against him. After a successful career as a New York illustrator, in 1989 artist Craig Tennant moved out West from New Jersey to focus on Western oil painting. 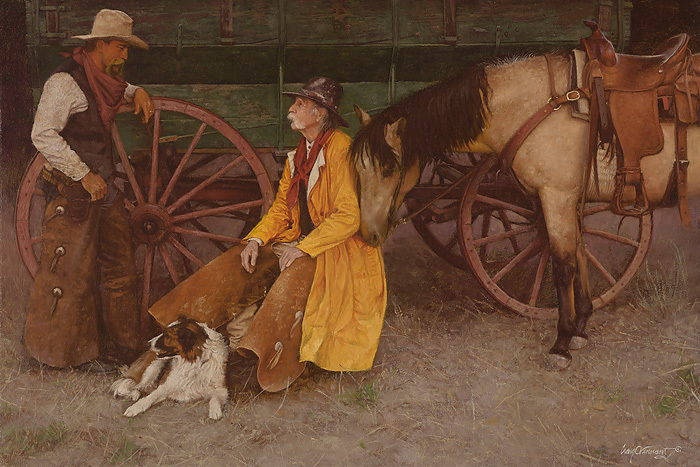 Already known for his realistic painting and attention to detail, he brought this talent to his Western art. Two decades later, Tennant’s work remains popular and in demand by many top collectors. He still enjoys the historic aspect of his art as well as the modern-day cowboy paintings he does on occasion. During his career, Tennant has won numerous awards, including two gold medals at the 2013 Western and Eastern Regional Oil Painters of America shows as a master artist. His subjects were two antique motorcycles and their owners ­­– a real departure from Western art. 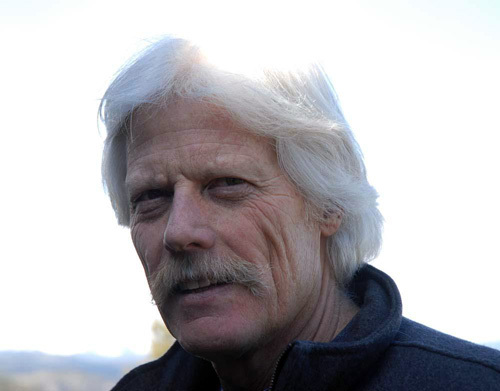 In 2014, Tennant was awarded Featured Artist by the Rocky Mountain Elk Foundation. 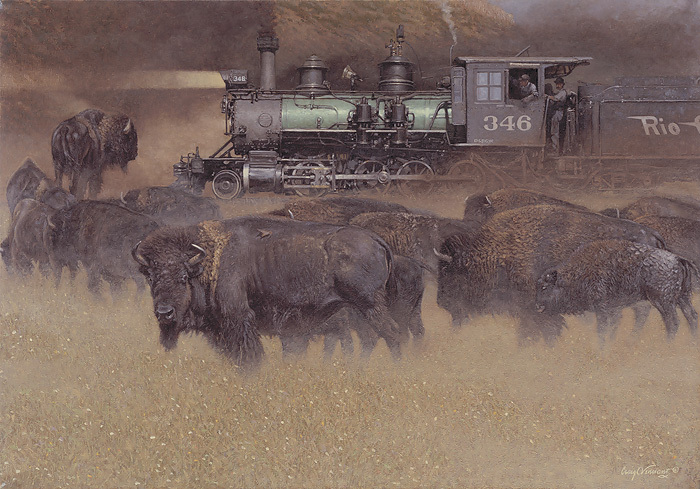 In addition, he won the 2009 Frederic Remington Painting Award and the 2008 Nona Jean Hulsey Rumsey Buyers’ Choice Award at the Prix de West Invitational Art Exhibition.